The third instalment of Aprilynne Pike's extraordinary faerie tale of magic and mystery, romance and danger, described by Stephenie Meyer as a remarkable debut . On the first day of Laurel's senior year there are two new arrivals. Tamani -- the electrifying faerie with whom she shares an undeniable connection -- appears, posing as a foreign exchange student. And even more disturbing is another foreign exchange student named Yuki whom Laurel quickly realises is a faerie, though the new girl doesn't seem to have any idea who or what she really is. Laurel is determined to figure out how Yuki fits into the picture, and what connection she may have to the ever-increasing threats to her family and Avalon. Meanwhile, Laurel struggles to maintain a balance between her human boyfriend David and Tamani, with whom she shares a passionate past. But balancing two worlds is becoming more and more complicated. When the threat to Avalon grows ever stronger, Laurel's illusion of control of the situation shatters and she must confront a danger even greater than the trolls. Chris Ryan has been there, done it, and lived to tell the tale. This is the second in the new action-thriller "Agent 21" series by the real-life SAS hero. 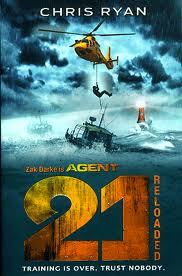 In the year since Zak Darke was approached by a shadowy government agency to become Agent 21, his world has changed completely. But there is no time to reflect on this - the undercover operations go on. 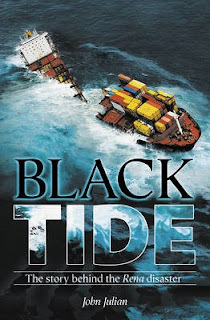 Zak is sent to a port in west Africa, a known terrorist stronghold, under the guise of working on a charity volunteer project. But charity work could not be further from Zak's real mission - he must sneak onboard an enemy ship, gather information - and then destroy it. Never has Zak's training been more useful: Trust nobody. Genre: Educational aid and a bit of looking around. 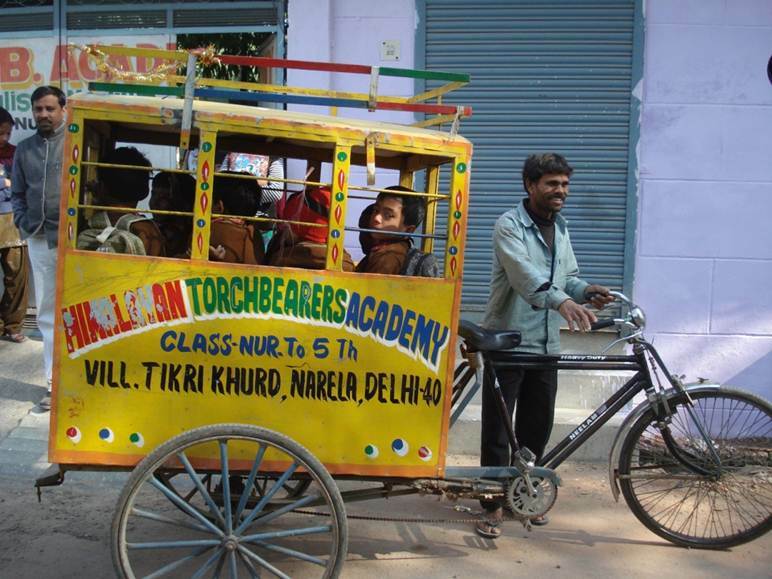 Over the next three weeks I will be in India working with these wonderful children and their teachers. We will be running training programmes to upskill the teachers who have never had the opportunity to have any formal training as a teacher. 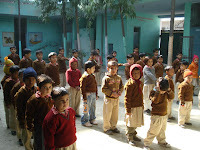 These schools are based either in the slums of sprawling urban area's or remote mountain villages. 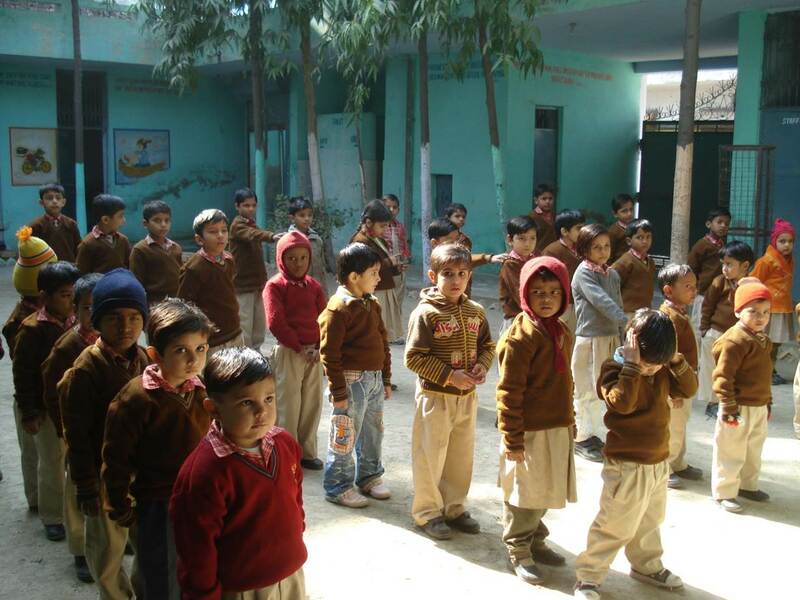 For them to come together, to access free upskilling, to learn , to laugh and to understand what being an educationalist is- is a treasure to them and a great humbling honour for us. 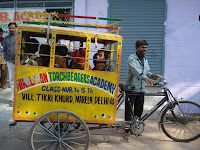 Yes we will see the Taj, but more than that we will see Indian teachers smile and be better equipped to teach these very kids in the photo's. So no blogging from me for a few weeks, unless I get to a computer in India. 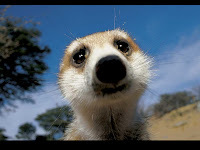 To my followers- please come back and join me -July 16th will be my return blog. In the mean time my trusty assistant Sharmion is going to try and keep it alive- be nice to her, she is a great workmate. By: Syrie James and Ryan James. I am processing this book early because one of our students REALLY wants to read it. She loves the whole angel thing with a bit of romance. Each day she comes in and begs me- so here it is Maxine- just for you! 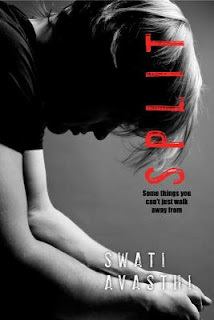 Sophie Jordan says this book is "Beautifully written! 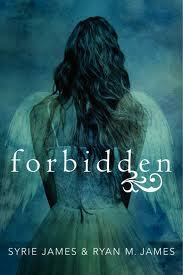 Romantic and filled with delicious tension- FORBIDDEN enchants!" Claire Brennan has been attending Emerson Academy for two years now (the longest she and her mom have remained anywhere) and she's desperate to stay put for the rest of high school. So there's no way she's going to tell her mom about the psychic visions she's been having or the creepy warnings that she's in danger. Alec MacKenzie is fed up with his duties to watch and, when necessary, eliminate the descendants of his angelic forefathers. He chose Emerson as the ideal hiding place where he could be normal for once. He hadn't factored Claire into his plans. . . . 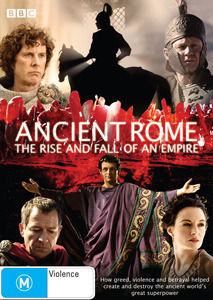 So having watching the Rise and Fall of Rome DVD's collection I am now in the hunt for Rome knowledge. Why did the emperors think they were gods, when some of them were down right crazy? What was Nero's problem, why was he such a fruit cake? Why did Rome insist on feeding their pet lions - Christan's- why were they such a threat anyway? Is Asterix true- do all Romans have big noses and funny shoes? 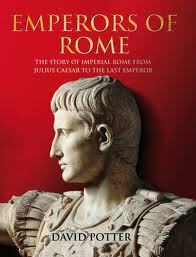 Was emperorhood earned or inherited? I had the DVD going and my lap top googling non stop all my curiosities. Now- I have this book, that just happened to find its way into the library collection. Funny that. AND- the series you guys are loving- Captain of Rome, Ship of Rome etc- you can now get this book out to give your novel context.!! Why- because this book has all the answers, it is fantastically arranged, has great photos and graphs, maps and fact boxes. I like it!!! "Alex has just 90 minutes to save the world"
In this title, Horowitz's world-renowned teen super-spy Alex Rider's fourth mission comes to life in a thrilling, fast-paced and stylish graphic adaptation. 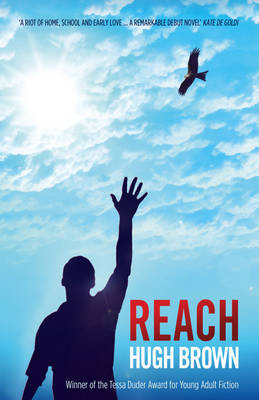 Relaxing in the south of France, reluctant MI6 agent Alex Rider is finally able to feel like any ordinary fourteen-year-old - until a sudden, ruthless attack on his hosts plunges him back into a world of violence and mystery. And this time, MI6 don't want to know. Alex is determined to track down his friends' attackers, even if he must do it alone. But it's a path that leads to a long-buried secret - and a discovery more terrible than anything he could have imagined. 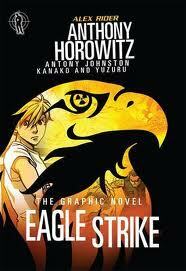 Alex Rider has 90 minutes to save the world. 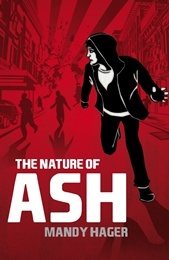 From the blurb "The nature of Ash is a fast paced thriller that explores love and loss, assumptions and prejudices, truth and fiction and the many 'faces' of a family." This is a thriller, set in New Zealand, it is future New Zealand- it is action packed and unpredictable. 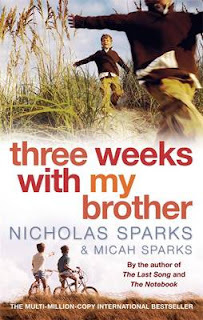 In a blog I follow called "Best friends are books" the writer states "In my opinion, Ash is one of the most authentic male teen characters in New Zealand fiction." Ash is a young man I want to get to know! This book came in a box of hopefuls, ones that I get to pick or discard. So I skim the box, make an initial cut, ask students what they think and then if I get a chance I sit and read portions of the book to see how well it reads. The cover of this book was a bit silly, and it was in the chop pile but this was a bad book- because as much as I wanted to stop reading it to skim the others I just could not- and then I ended up in tears and I was at work and my colleague laughed at me. This is a story, a novel, but based on the authors own experiences, of teenage cancer. 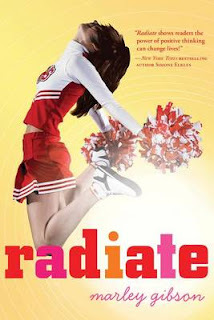 It is about a young woman who is a cheerleader, in THE team and then she is struck down with cancer in her leg. It is about courage, disappointment, family, God and even a romance! 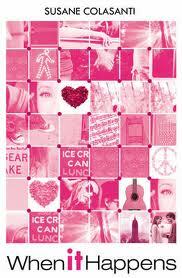 The thing is, it looks all fictiony, made up niceness- but in reality it IS Marley Gibson true story. In our setting it would be like someone making Netball Open A team and then having to have surgery that might mean losing your leg. I love the quotes at the beginning of each chapter and the title "Radiate" says it all. How someone faces death, and a life as a cripple and still shines! Great book despite the cover, maybe the saying is true. You know how I said you should read LIES by Michael Grant because it is scary and I am not going to read it cause I like to sleep- well if you dont believe me, then check out this book trailer from YouTube. But you know what- these books- you can read and tell me what you think, because I like to sleep and for a little old lady, they look a bit scary!! Yes- India- In a week I will be flying there myself, reconnecting with those sights, sounds and smells. Some of them nice, some of them riveting, some of them terrifying, some of them exquisite, some of them painful. India is a movie set that is not choreographed , it just is. Set in colonial India, this richly layered coming-of-age tale follows a spirited young artist on a journey up the Ganges — and through the enigmas of her past. How can Anila Tandy, left to fend for herself after her mother's death, dare to apply for a job that is clearly not meant for a woman? 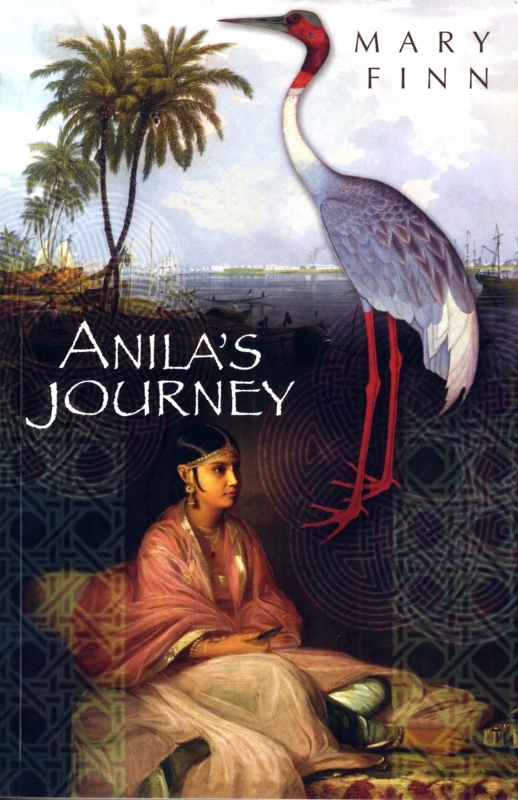 But somehow the "Bird Girl of Calcutta," art supplies in hand, finds herself on an eye-opening journey up the Ganges, apprenticed to a gentleman scientist. 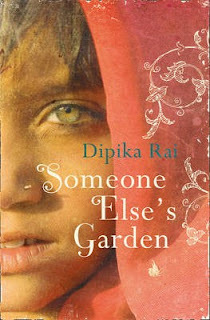 As the lush landscape slips by, Anila dives into her past — a past where her beautiful Bengali mother still tells stories and her Irish father's mysterious disappearance lingers. Gorgeously written and rich with atmosphere, Mary Finn's debut novel tells the story of a determined young artist who must make her way in the dangerous world of late-eighteenth-century India. Fight to win; Deadly skills of the elite forces. Chris Ryan is the author that hooked my son into reading- forever grateful to him for that. 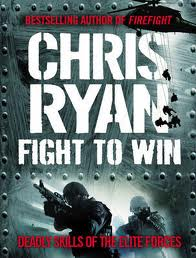 Chris Ryan is also an ex SAS soldier. He spent 10 years in one of the best elite forces in the world. He survived Desert Storm, and was the only one of an eight team to escape from Iraq, three others were killed and four imprisoned. It was the longest escape and evasion in SAS history. He now works as a body guard. In his spare time he writes books- some of them fiction based on his experiences and others like this- all based on fact about the SAS. I know what will happen to this book- you will pick it up and leave it lying around the library, well looked at, well read- and for some of you - it may even help you decide a career path- or not! Final year of High School, a great year in my life and I think my own kids too. In this story we read about Tobey and Sara. Tobey wants to win the Battle of the Bands and make Sara fall in love with him. Sara- she wants to get into a good uni and also find true love. So these two collide, and as they navigate past loves, poor grades, and big dreams, they grow closer together. They learn that real relationships take honesty, time and risk. One year. One Boy. One Girl. One very real love. 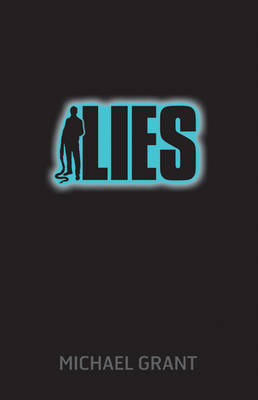 My mum told me never to tell lies. But would I if a greater need than the truth presented itself? 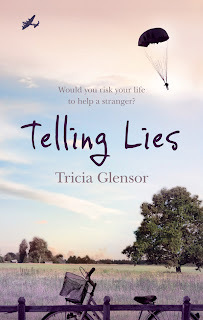 Is lying OK to save a life.. that is what 15 year old Simone and her family must do, to save a New Zealand airman who has parachuted into German occupied France. They must weave a web of lies as they hide, then try and smuggle to safety this pilot from New Zealand. It is based on the authors father and his experience in France in WWII as he was rescued by a farming family. Maybe in many ways it is the story told of the untold story for so many of our Grandfathers, to me it is a good thing that as our heroes reach their final years, there stories are being told, whether they are fictionalised or biographical does not matter, what does matter is that we know. The last line of this book is a classic, and it speaks of the heart and thanks that so many soldiers have toward those ordinary people in occupied territories that risked there lives to save others. This photo was taken by Tom Schwabel and this is his web site http://500px.com/photo/1610632. 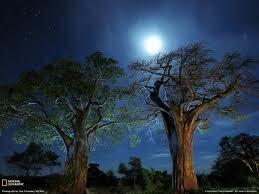 It is an awesome photo and just like the Banyan Trees I see and love in Tanzania. Sometimes you come a cross a book that blows you away- this is one of those. It is images from National Geographic - they have 11 million images taken over 120 years of photography. The book collates the best of those, and it is the largest single volume of National Geographic photos ever published. Far flung places, elusive wildlife, peoples and cultures who have introduced themselves to the world through the lens, science and nature. I love historical fiction- it is one of my fav genre's. I think my History teacher in Yr 12- 13 is to blame by making history come alive as a story. That makes him a great teacher and me a sucker for long historical saga's. I loved London by Rutherford and Leon Uris was the author that cost me all my pocket money when I was a teenager and made me go to Israel. Now we have Philippa Gregory - the writer who has made English history come alive, the passion of the Tudors, the games of the dukes and now in this story- the monasteries of the 1400's. It is written for the youth fiction market- it has dark magic, were wolves and madness and Christendom. Yep- my weekend read under the warm duvet I think! Check out the YouTube trailer as well! I was sitting in a slum area in Ghana, missing the Rugby World Cup semi- final and I found a newspaper, I was desperate for Rugby news. Now Ghana is about as far away from New Zealand as you can get and there was New Zealand TWICE in the papers. Once for our wonderful defeat of the Aussies in the World Cup and another about this boat that had sunk off our coast. As the week unravelled in Ghana, so did the Rena in Tauranga. It is not too far from where I live, stories of our penguins getting oiled, thousands of beads lying on the beaches, kids using containers on the beach to play chase around, dairy products lying all over the beach- ugly oil slicks on our pristine beaches and all because some guy wanted to take a short cut with his boat. This is a New Zealand story that made headlines in Ghana.. this book tells us why! Suicide- your sisters. How would you deal with that? How did Harper Scott deal with it, when June her sister took her own life? She was devastated- and then her parents divorce- so what happens to Junes ashes- they decided to be fair- and split them. Harper was not going to let this happen- so she steals the urn and takes of to where June always wanted to go- California. Then Jake Tolan wants to come- he believes in the power of music to bring healing, he is charming and infuriating... and he has a secret. One that will turn Harper's life upside down again. Seems to me to be a great book for a rainy Saturday, bit of pain, bit of laughter, bit of reality and music! Might need to snuggle under the duvet in the sad bits!
" 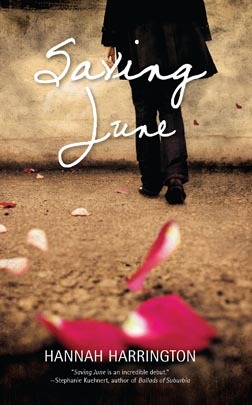 Tender, funny and moving" Courtney Summers. I have been to Olympia- best memory- eating fish by the local village close by- it was very yummy. Worst thought- the men all did the Olympics naked and woman could not attend. They may not have wanted to- come to think of it. Worst moment- getting woken at 5.00am by a man calling the locals to prayer. Bucket List Moment- running across the finish line of the Ancient Olympic running track. Cheap Skate moment- attaching ourselves to the back of a tour party to hear all the information- could not really hear that much. Wish I had this book- would of solved the problems. Oh and the funniest moment- watching Peter get a haircut by a nervous shaky barber with twitching fingers at Olympia train station. I just wish I had known lots more about Olympia, its stories, its meanings- so I am going to read this many years later and find out all about what I saw then. "For a straightforward exposition of the detail of the Olympics it would be difficult to better this book." Literary review. Winner of the Tessa Duder Award for Young Adult Fiction. Kate De Goldi " A riot of home, school and early love.. a remarkable debut novel"
I guess this is a book the boys are going to like- because it mentions ear wax!!! 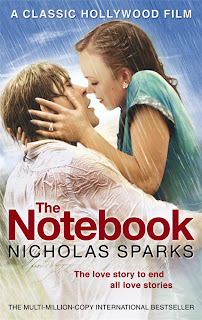 Genre: Love and "it will make you cry"
OK I confess, I have never seen the movie, this is because my brother cried like a baby at the movie and if he cried, I think I would be in one of those deep belly sobbing wailings. I watched Finding Neverland on an International flight once- I cried so hard I had tears streaming down my face, slobber coming out my nose and I was quietly gulping for air- this embarrassed my 14 year son greatly, but on an aeroplane- there is no hiding. So maybe I will do better with the book- well that is the theory. It is about an elderly couple one of whom has Alzheimer's- the story is about remembering, remembering youthful love, war, and life. Remembering does not come easy, but the miraculous force of their love refuses to fade. It is the love stroy to end all love stories. Note to self- read with tissue box handy! Sixteen-Year-Old Jace Witherspoon arrives at the doorstep of his estranged brother Christian with a re-landscaped face (courtesy of his father’s fist), $3.84, and a secret. Jace is a victim of domestic violence, or rather protecting his mother from it- so he runs away to his brother 1300 miles away. Does the running work, will a fresh start, really be one, and what about his Mum still trapped with the abuser? Milly rated it · This came highly recommended and it more than delivered! What makes Split so remarkable and memorable is how raw and real it is. The realism of this book is so unnerving and so mesmerizing! And I can tell from first hand experiences how Jace's story is so close to the real thing. Swati Avasthi is either a great writer and researcher or a magnificent storyteller who shares her own life experiences as if writing her biography in this book. But, either way, she has touched me and captivated me with Jace's story and I've never felt such a connection with a literary character as I do now.. This man is amazing- and to me a role model. I remember seeing him at the opening of the Commonwealth Games in Manchester with the little boy who was ill, and the care he showed toward him was genuine and warm. 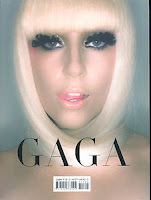 He wrote this story, so it is not gossip, it is not paparazzi- it is David Beckhams owns words, telling his own story. And did you know he can play Ode to Joy... check this out! One of our libraries favourite fiction authors, has actually written a story about himself and his brother. They are the only family members left alive and to celebrate family gone the two brothers embark on a world trip. As they travel to Machu Picchu, the Aussie Outback, and colourful chaotic India they recall their childhoods- the tragedies and the fun. Two brothers on a road trip- this book is the result, part travelogue, part autobiographical and you could be forgiven thinking this story is really one of his fiction works- but it is not. She's NOW the biggest POP STAR in the whole world and has redefined the meaning of FAME. 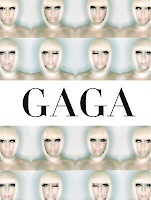 She is LADY GAGA and this book tells her story. 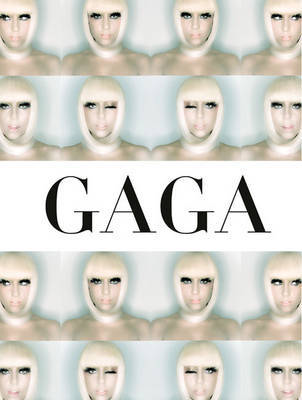 Some of you in New Zealand will watch her strut her stuff this weekend, listen to her sing, see what she wears, or doesnt wear, be amazed at her stage production..but who is she, what is Gaga's story? This book is stunning, and it will fill you in on all you want to know. So we in New Zealand get a long weekend to celebrate the Queens Birthday, even though that was in April. The Brits are celebrating Elizabeth II being on the throne for 60 years, I heard today she actually has 9 thrones- I wonder does that count the toilets in Buckingham Palace? So no blogging from me on Monday- I will be going on a run, having a COFFEE with my daughter and hopefully reading a couple of good books. I will read "Notes from the midnight driver" and also finish off- "Beyond the beautiful forever's". I have blogged about both- it will be a nice diet of a bit of fun, and a real read about India. I will then wrap around that a few good DVD's- Muppets to make me smile and BBC's Ganges, because I am going to India soon and want to know more. 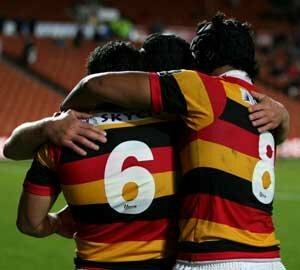 I will also catch a good rugby game and hope my Crusaders win, but go the Chiefs as well. But the greatest thing I will do is sit on the deck, outside, eating my home grown mandarins, enjoying the sun and my family! Hope you all enjoy your weekends as well. Location: DVD- come and ask! I have spent a few evenings watching this DVD Doco and loved it. I had my Notebook open and was busy Googling a stack of information as the DVD told 6 major stories of the Roman Empire. Was Nero crazy? Who built the Colosseum? How much of the world did they control and was there politics fair and good? The biggest question of all though had to be- how accurate is Asterix! Did the Romans have the shields like a turtle, was there Gauls, and could the Roman Army actually manage to not have control over every area of its empire? These DVD's are brilliantly done, answer your questions, make you really curious and I just wish I had seen them before I went to Rome. make sure you do! "Factually accurate and based on extensive historical research, the series portrays Roman life as it really was – gritty, sordid and magnificent." Review by www. abc.net. India- yes, I am going there in 24 days, and I know that I will experience those emotions- rage and despair that there is a caste system that stops people from being literate, that stops people from bettering themselves, that stops woman from being free to have choices, that stops children from reaching for the stars. I will rage when I see maimed beggars in the street, children in shacks that leak, kids wandering the streets in school time. Yet I will rejoice when I go into the schools I will visit and see those kids who would never have access to education getting the best the schooling in there village. Mamta in this story is one such girl, inflicted upon her is a culture that gives her no choices, she is low- caste- bought up in poverty. Does Mamta have any power to alter that which other nameless, faceless young woman cannot? Will this story end up making you feel rage, or hope?